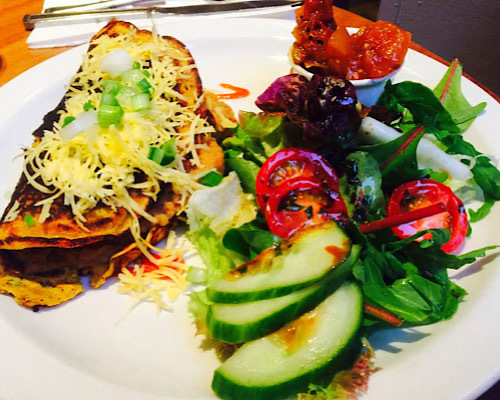 Looking for delicious comfort vegan food in Edinburgh, Scotland? 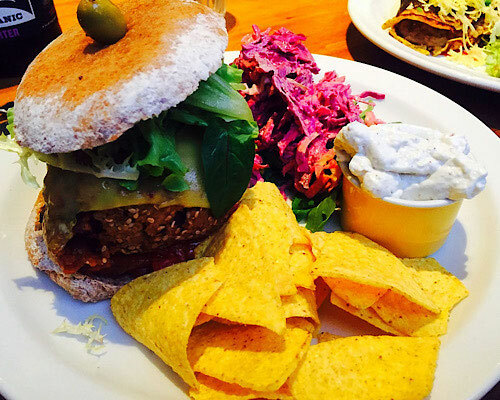 Here are some of my favorite tasty vegan food finds including haggis, nachos, a cheeseburger, and chocolate cake! 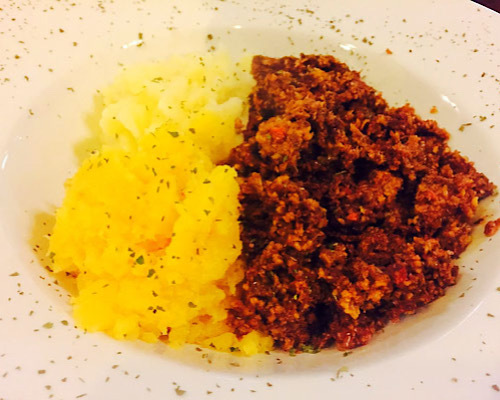 First up: vegan haggis! Had to be done. Also came with tatties (potatoes) and neeps (turnips). It's the quintessential dish of Scotland. Also quite tasty! And did you know you can buy vegan haggis in a can all over town? 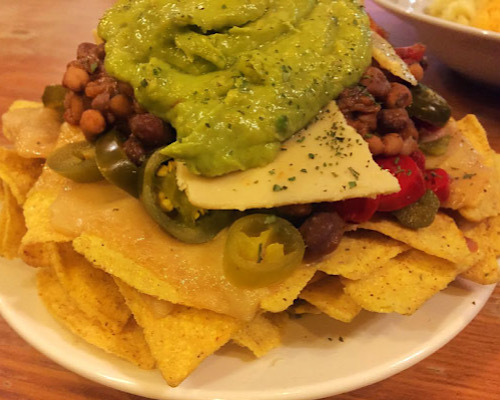 And, you're not going to NOT eat a giant plate of vegan nachos, are you? I didn't think so. This one was full of melty cheese throughout, plus beans, jalepenos, more cheese and guacomole on top. Huge, filling, delicious. Perfect with beers. Find these fun bar food goodies and lots more at The Auld Hoose at 23 St. Leonard's Street. Like any proper Scottish pub, they have an impressively large whisky selection, too. When I discovered that there was a 100% vegan restaurant, I simply had to check it out. 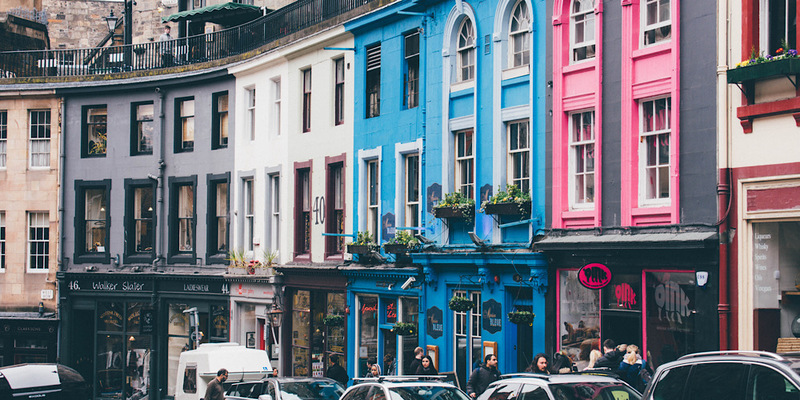 Henderson's of Edinburgh has several locations all about town but the charming and cozy location on Thistle Street is completely vegan! And, whenever I see a veganburger, I have to have it. This was probably the largest (or tallest) one I've had yet. But I devoured it into a complete mess. I loved the huge side of house-made vegan mayonnaise that it came with. And the delicious red cabbage coleslaw was perfect. They also did a spicy veggie and bean crepe with mozzarella cheese on top, chutney on the side, plus a balsamic vinaigrette salad. Don't forget the organic beer to wash it all down! 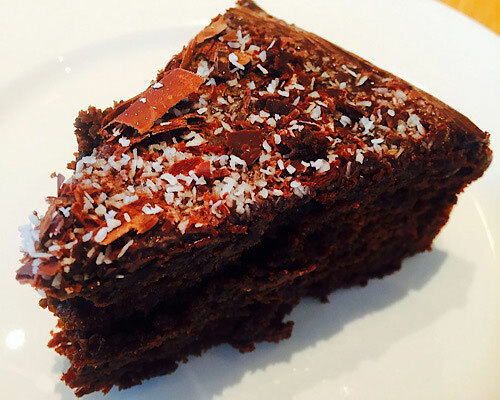 Last but not least, I just happened across this delicious piece of vegan chocolate cake at a local coffee shop called Loudon's Cafe and Bakery at 94 Fountainbridge. Their light, fluffy, moist, dark chocolate cake was the perfect compliment to the equally delectable soy latte they artfully crafted. Yum, Edinburgh, yum.